Water repelling, clear impregnation liquid which does not yellow nor peel off. 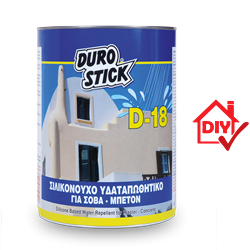 It protects plaster from weathering and concrete from carbonation. It ensures transpiration and complete water repellency for at least 10 years, when applied in two coats using the ‘wet on wet’ application method, on any white or colored marble based plaster wall surfaces and concrete wall and floor surfaces. 200-400ml/m² per coat, depending on the absorbency of the surface.